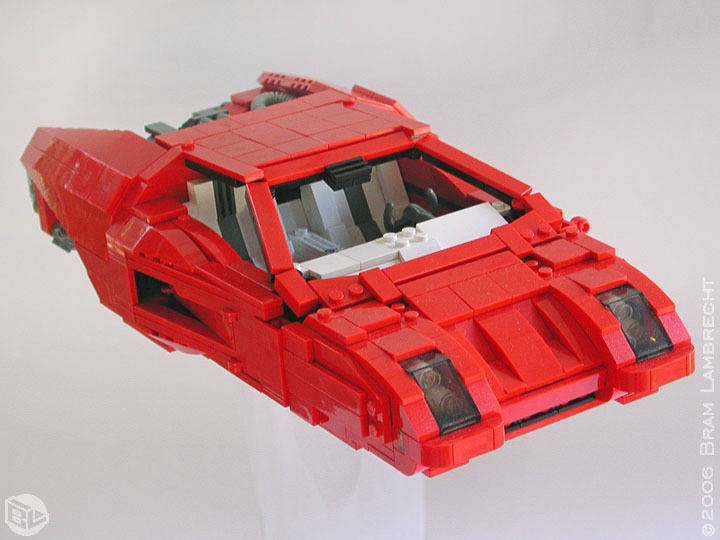 An interesting thing about this car is that it is not made for the traditional lego-figures (the minifigs), but for the larger technic figs. This larger scale has enabled Bram to create some very interesting functionality, such as the fantastic opening mechanism. Very nice touch.